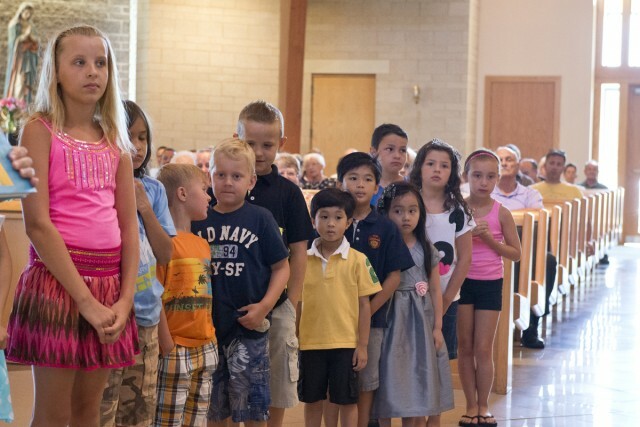 St. Luke parishioners provide religious education classes for students not attending Catholic schools. Significant physical and emotional changes characterize the period of pre-adolescence and adolescence. While home and family remain the more powerful forces in the development of pre-adolescents and adolescents, their peer groups begin to exercise increasing influence on attitudes, values, and behavior. They learn to live the Christian faith by observing the good example of others whom they admire and trust. Catechesis for pre-adolescents and adolescents takes into account their physical, social, and psychological conditions. Since adolescence is the age of hero worship, it is helpful to present the words and example of Jesus as well as the lives and deeds of the saints in ways that appeal to young people. Such catechesis presents Christ as the Son of God, friend, guide, and model who can be not only admired but also imitated. It also presents the basic content of his Revelation.